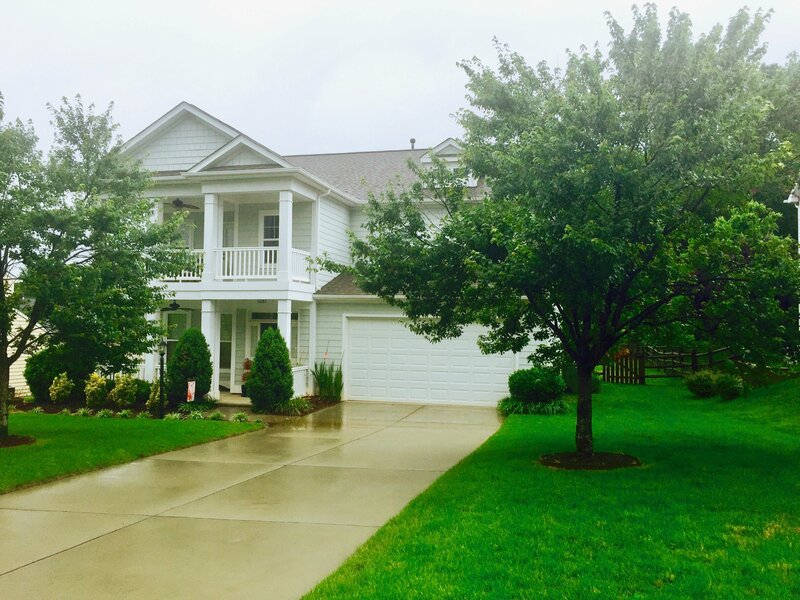 Open House ~ Saturday and Sunday 5/27 – 5/28 ~ 1:00 PM – 3:00 PM ~ 833 Somerton Drive, Fort Mill SC, 29715 ~ Price: $305,000 ~ 4 Bedrooms 2.5 Baths ~ Square feet 2,585 ~ 0.48 Acres ~ 2 Car Garage ~ Walden Park Subdivision. Southern charm welcomes you home! Enjoy double front porches on this coastal craftsman beauty. Desirable Fort Mill location within walking distance to Fort Mill High. All bedrooms are upstairs. Upgraded kitchen with granite counter tops, SS appliances, and a beautiful backsplash. Floorplan also features, hardwood flooring in foyer, formal dining, and kitchen. Gas fireplace in a?large great room. Breakfast nook with plenty of natural light, and a spacious master suite with a tray ceiling and HUGE master closet. Large fenced yard backs up to woods. Low HOA dues!